Hi everyone! 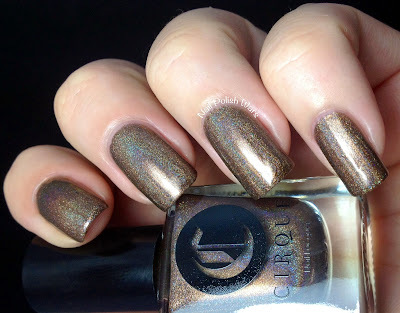 I have five amazing shades from the Alchemy Collection by Cirque for you today! Baptisia is a deep blurple shimmer with pops of iridescent purple. The formula was smooth and easy to apply. This shade is absolutely gorgeous! I love how dark it is, without compromising the true color in dim lighting. Shown is two coats of Baptisia. 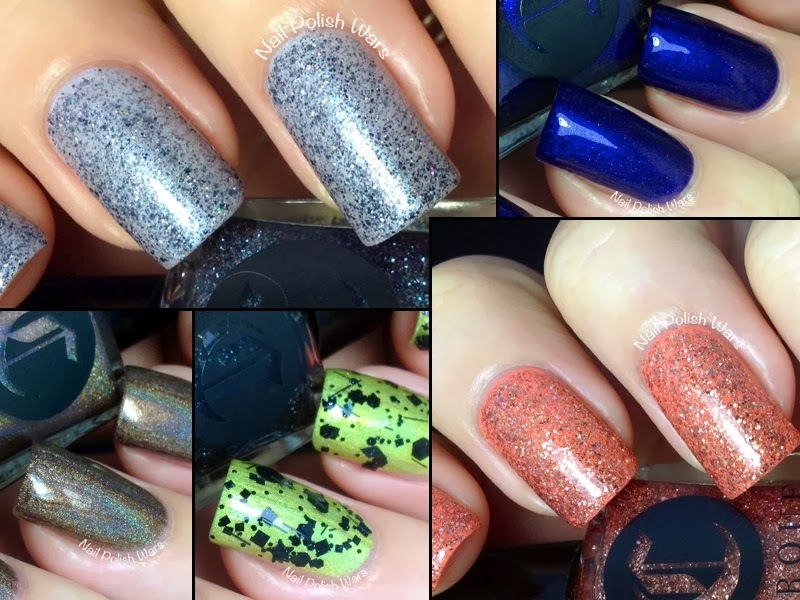 Chainmail is a clear coat loaded with gunmetal micro glitters, as well as some sparks of holographic glitters. The formula was smooth and easy to apply, but you will probably need a base color if you're after an opaque finish. The formula was smooth and very easy to apply. I love how cold and industrial this one is. Even with all of the sparkle, it still has an edge! Shown is one coat of Chainmail over OPI Give Me the Moon. 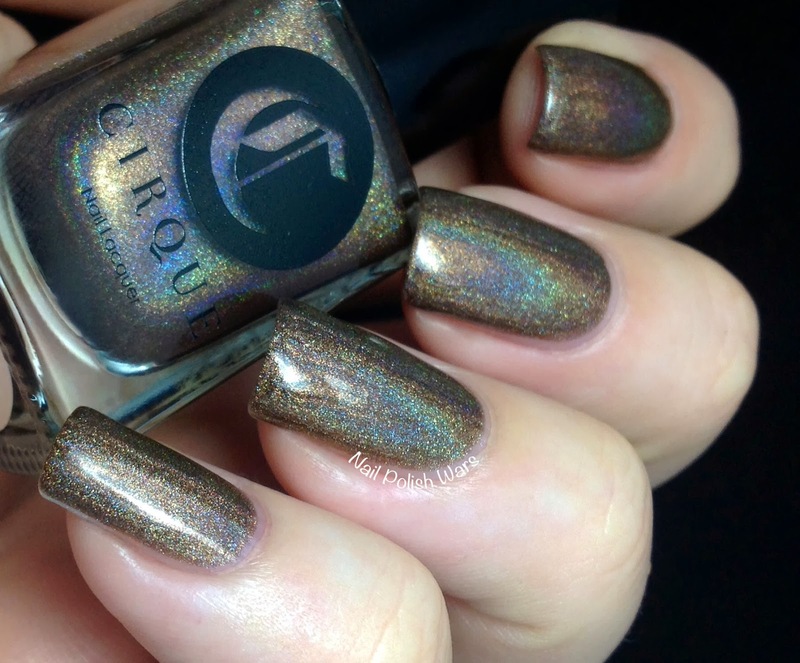 Mink is a chocolatey brown linear holographic. The formula was rich and easy to apply. 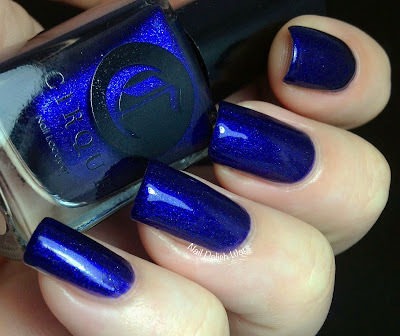 I am so crazy about this shade! The linear effect really dazzles against the brown. Shown is two coats of Mink. Stella is a clear coat loaded with rose gold micro glitters. The formula was smooth and easy to apply. 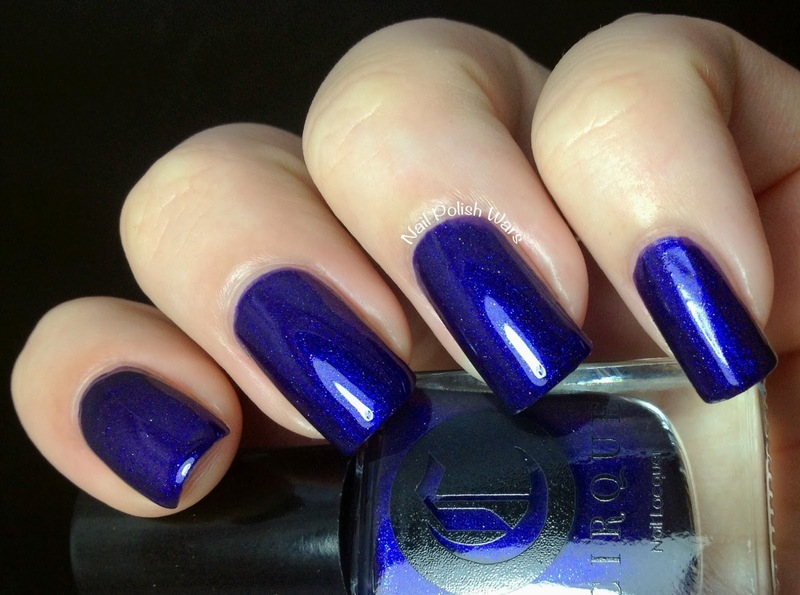 I instantly adored this shade as soon as I saw it in the bottle. It makes for such a sweet and simple accent for almost any base color! Shown is one coat of Stella over Pop Nail Glam Tangerine Taste. 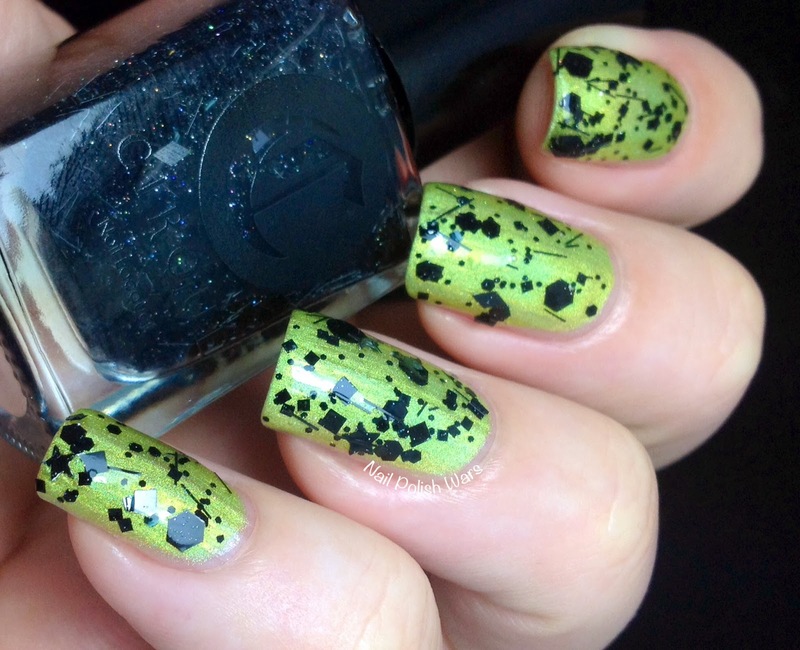 Vectors is a clear coat loaded with every size and shape of black glitter imaginable, as well as a holographic dusting. The formula was smooth and easy to apply. 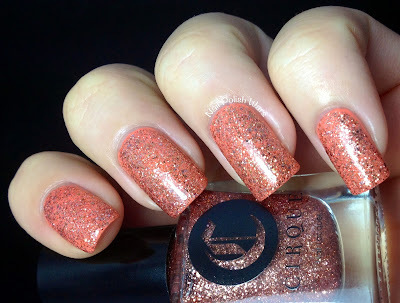 The glitters came out of the bottle easily, including the larger ones, and spread out evenly across the nail. 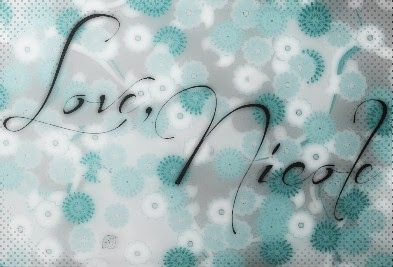 This one was an immediate favorite for me! It has such a great black splatter paint look to it. Shown is one coat of Vectors over China Glaze L8R G8R. You can find these, along with the rest of the amazing Alchemy Collection, at the Cirque storefront page here, and be sure to check them out on Facebook for all of their latest collections and updates. I love Vectors! I need to start stalking the UK stockist for it, lol! Stella and Chainmail are beautiful!! 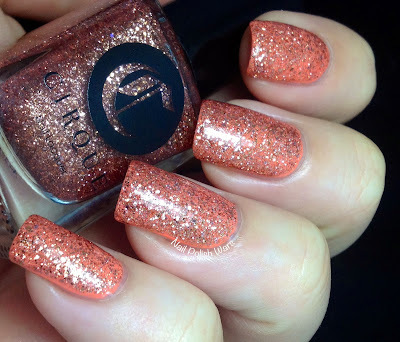 I love this collection by Cirque. Saw them debut on Lucys Stash the other day. I like this selection by Cirque. Discovered these debut on Lucys Deposit the other day.